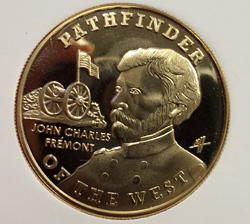 Designed by Matthew Howard, these commemorative coins were struck especially for the exhibit, Finding Fremont, built in partnership with the Nevada State Museum. 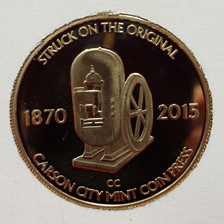 The Nevada State Museum is located inside the historic Carson City Branch Mint, and they mint coins on historic press No. 1 in honor of that history. 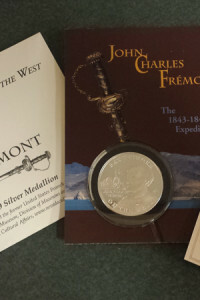 A limited number of Fremont medallions will be struck; only 30 silver and 75 copper are available from the Deschutes Historical Museum. 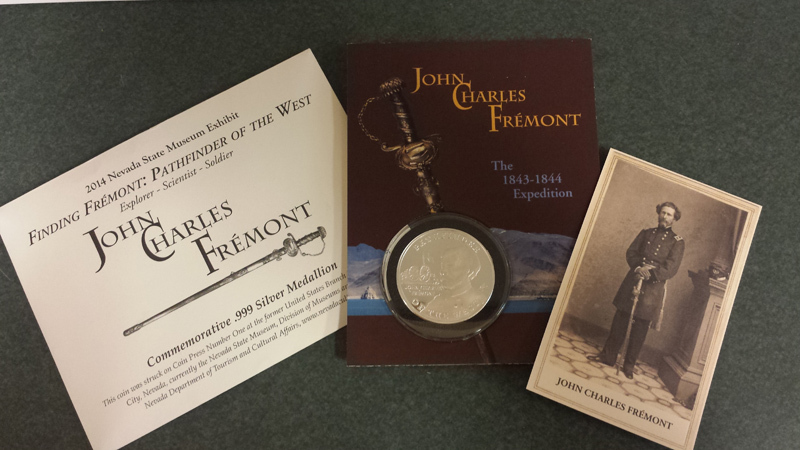 Silver coin is .999 silver and comes with a commemorative card and photo. Copper coin comes in plastic collector case. When they are gone, they’re gone! The costs listed include shipping & handling.